Wait is finally over. The results of second r/Linux survey is out. With nearly twice as much people participating, this year's results are even more significant. But if you look closely, the end results are not much different from the 2012 r/Linux survey. Ubuntu reigns on top still while the community-driven Arch Linux grabs the second spot. KDE 4.x becomes the most loved Linux graphical environment. Here's a quick drill down of r/Linux 2013 survey results. 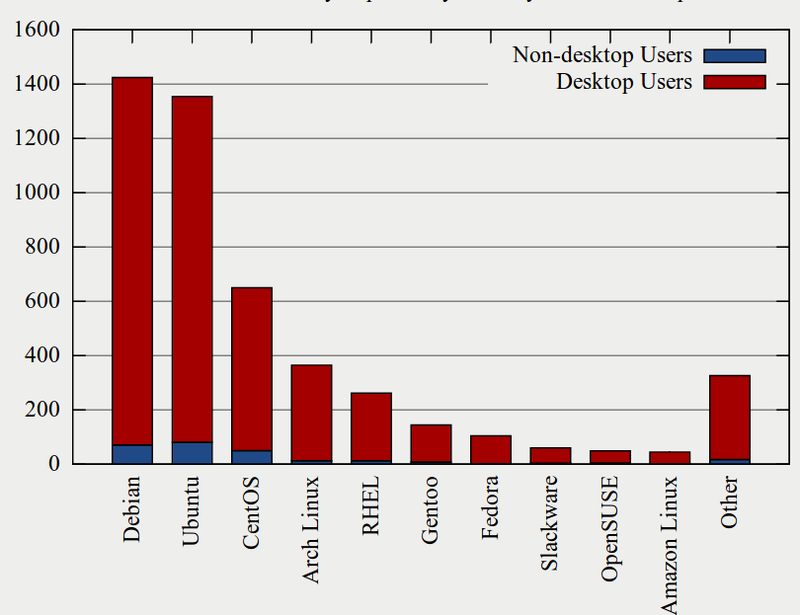 Ubuntu and Arch Linux remain the favorites of /r/Linux for another year. Linux Mint has climbed the ranks from position 5 last year with 7% of responses to position 3 this year with 11% of responses. Rest of the lineup pretty much remains the same. 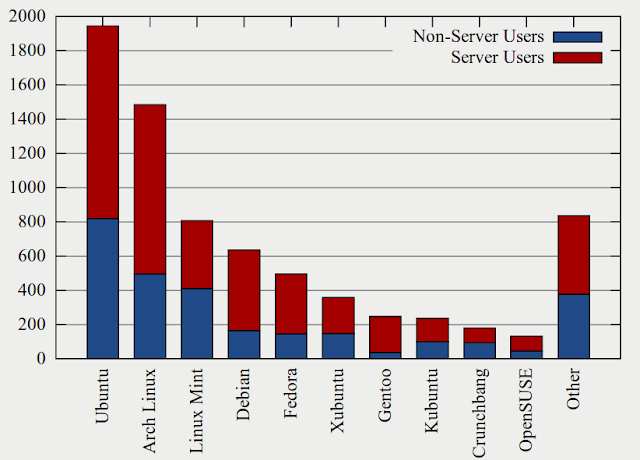 Debian barely eeks out a win over Ubuntu as the most popular server distro among /r/Linux users. Compared to last year's 4% margin, Debian managed to achieve just 1% margin this time around, signalling a definitive trend. Can Ubuntu become the most popular server distro of choice by this time next year? We'll see. 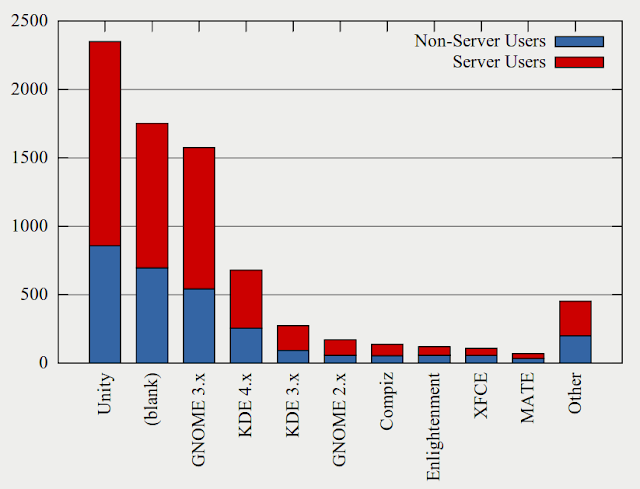 Excluding the "other" category, KDE 4.x reign on top. 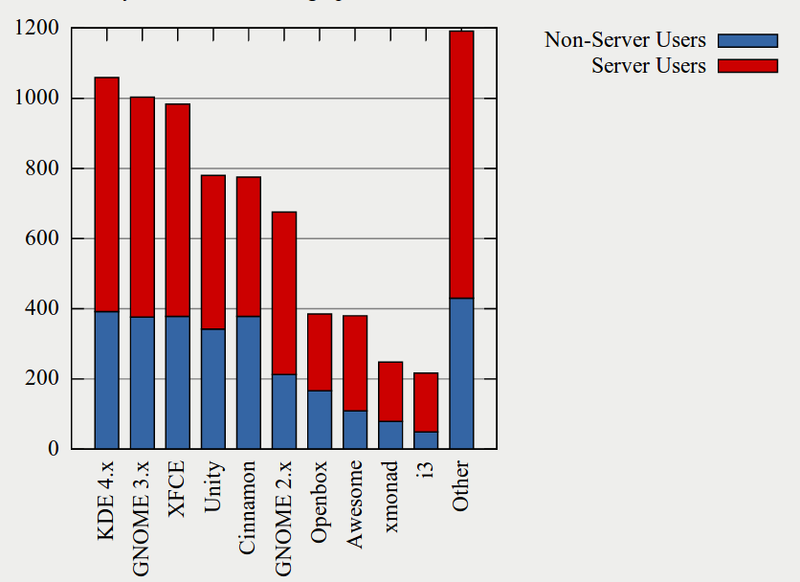 Last year's winner, GNOME 2.x, has been dropped to 6th place. KDE 4.x was third last year. XFCE fared better than Unity. Cinnamon gained a lot of users too, grabbing the 5th spot. For the second year in a row Unity wins "Most Hated Environment" of /r/Linux, followed by GNOME 3, KDE 4, and then KDE 3. Many considered this as an unnecessary question and as you can see, there's a large number of users who don't hate any. In my personal opinion, Unity can't be considered the worst anymore. It has its problems like any other and I still believe in a "Project Butter" for Ubuntu. But the worst-out-there tag is a bit far fetched in my opinion.